When you visit Morzine in the summer we think it’s worth thinking about the great places to visit within an hour or so from Morzine. The following places are easily accessible either via a Simply Morzine excursion (numbers permitting) or independently. If you fancy a nice day out, please read on! The famous alpine town of Chamonix sits at the foot of Mont Blanc, Europe’s highest mountain. Either ride the funicular railway to the Mer de Glace to explore the glacier and the amazing ice sculptures, or, on a clear day, take the world’s highest cable car to the top of the Aiguille du Midi (3842 m) for awe -inspiring views of Mont Blanc and the surrounding peaks. Chamonix also offers a wide choice of shops and restaurants, an excellent golf course, and other fabulous cable cars and walks. 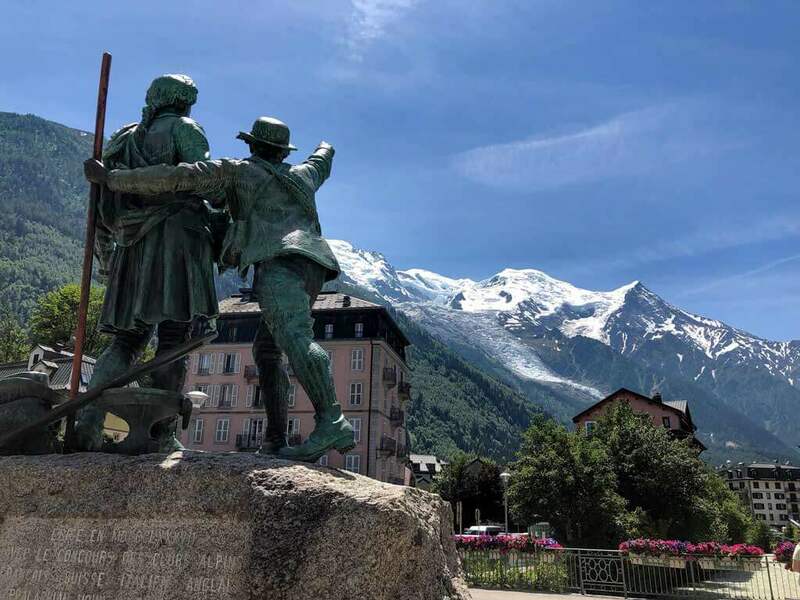 In the shadow of snow-capped Mont-Blanc, Chamonix is well worth a visit in the summer. This romantic and historic town, known as the Venice of the Alps for its winding canals, sits at the meeting point of the River Thiou and Lac d’Annecy, below the snow-capped peaks of the Aravis range. The stunning floral displays and plantings have earned it a separate category in the French towns in bloom competition. Browse among the Old Town or visit the French Renaissance chateau for displays of Alpine furniture and religious art, then relax on an afternoon boat trip on the beautiful lake. Annecy is a truly charming place to visit near Morzine. Meander through its cobbled streets, browse the fascinating shops, or make your way up to the French Renaissance Chateau, perched on the heights above the cobbles and canals. We are sure you’d enjoy an excursion to Annecy whilst on holiday in Morzine. A fantastic Simply Morzine summer excursion! We reach the stunning Sixt-Fer-A-Cheval National Park via the impressive Col de Joux Plane, one of the Tour de France’s most testing routes, offering wonderful views of Mont Blanc on a clear day. 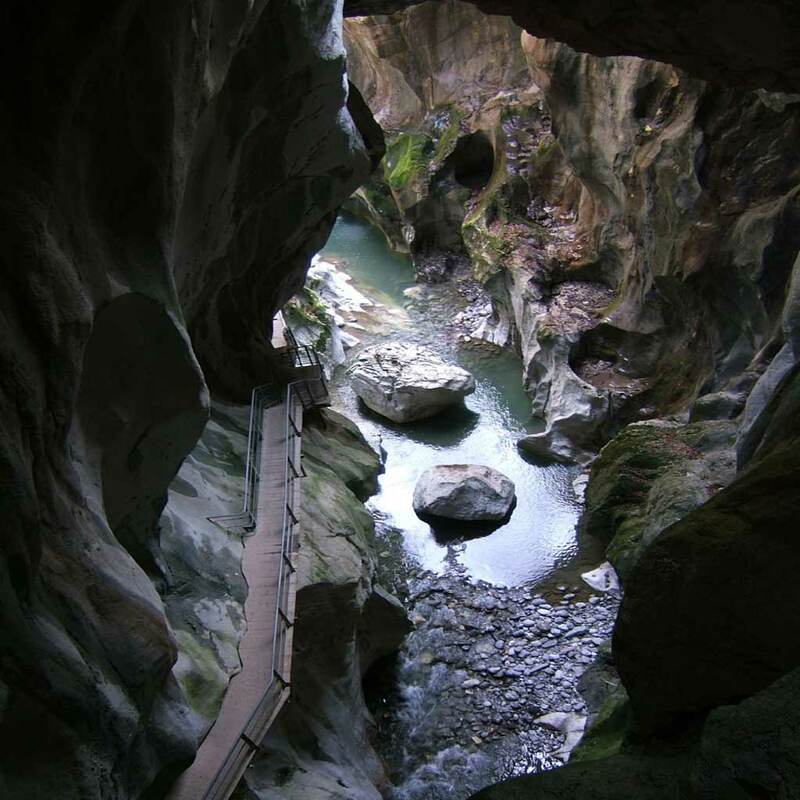 Our 5-mile walk in the National Park follows a flat route beneath some of the most spectacular scenery in the Alps. When we stop to relax over lunch, the brave can take a bracing dip in the plunge pools! In the afternoon, we visit Samoens, a protected village famous for its stoneworkers and beautiful stone-built houses – unusual as most Savoyard chalets are built of wood. We visit the world famous botanical garden in Samoëns which showcase over 5000 alpine plants from all five continents. Lake Geneva (Lac Léman) is a stunning place to visit near to Morzine. 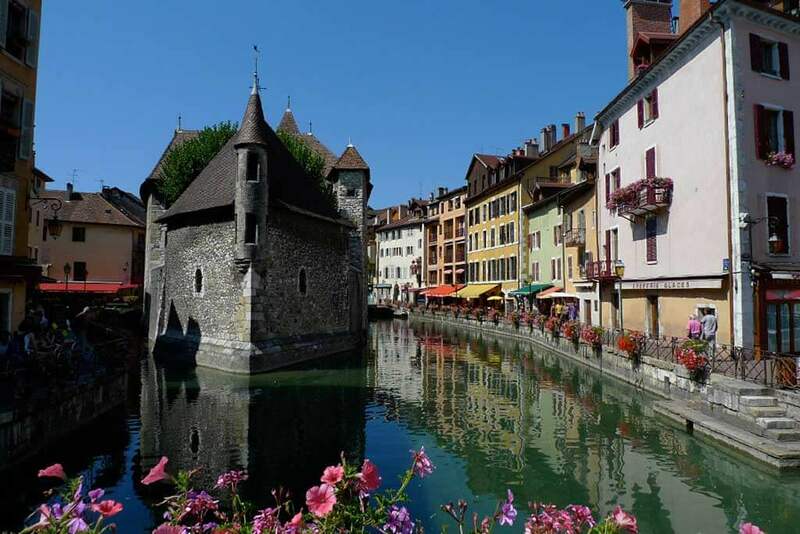 Explore the medieval architecture and flower-strewn streets of Yvoire. At lunch, why not try the famous Filet de Perche, the local freshwater fish speciality. Things to do in Yvoire include the arboretum and gardens at the Chateau de Ripailles, where you can sample the excellent local wine. Also on the shores of Lake Geneva is the spa town of Evian (most famous for its mineral water!) 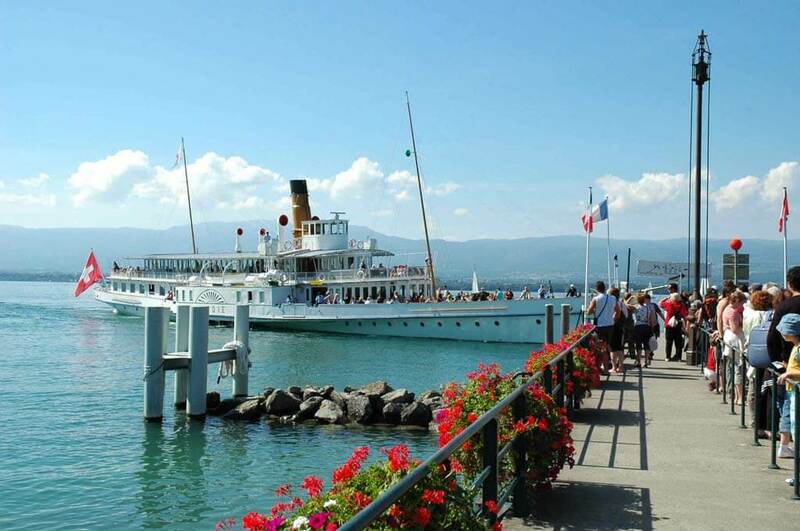 Here you can explore shops, lakeside beaches, visit the waterpark or take a boat trip across the lake to Lausanne. When on a summer holiday in Morzine, it may be worth considering a day exploring two of the most beautiful valleys in the Portes de Soleil, both close to Morzine so less driving is involved than the others in this blog. Head for the Cistercian Abbey ruins and visitor centre in St. Jean d’Aulps, with medicinal and kitchen gardens set against the dramatic mountain backdrop. Nip along the valley and walk into the breath-taking Devil’s Bridge Gorge, before heading into the Vallee d’Abondance to visit the perfectly preserved Abbaye d’Abondance and its 15th century frescoes and/or the fromagerie which makes the well-known Abondance cheese. Return to Morzine via the Col du Corbier, a beautiful route past traditional alpine meadows and pastures and typical Savoyard hamlets. The area around Morzine has a rich heritage of crafts and traditions, preserved and displayed in numerous local museums and workshops such as the Morzine slate mine workshop and the Samoëns stone cutters. Eco museums capture the daily life of traditional farmers and abbeys. Castles tell the story of Savoy’s monastic and courtly past. For a closer acquaintance with the region’s food and drink, a visit to a local produce market is a must. We think that local excursions such as our suggestions here enable you to discover the picturesque traditional towns and villages, artisan producers, beautiful gardens and stunning scenery – all of which make the alpine region around Morzine so very special in the summer.